As your #VeniceFL new home specialist, I stay on top of the latest news for 19 new home communities, with the information you need all in one place on my website. Today I have for you the first video of new town homes in Toscana Isles. These 2 and 3 bedroom units have beautiful lake views and attached garages. Expect prices starting in the mid $200's. I have new video for Che Vista, a luxury condo being built on Venice Island in Venice FL, across from Beleza. The roof is now complete and work is moving along. Units in the southern end of the building with the best Gulf of Mexico views have already been reserved. Units in the north end will have a peek a boo view of the beach. There's been a lot of changes in Milano in #VeniceFL since my last update in June. New phases have been released and more homes and paired villas are under construction, as you'll see in this video. As your Venice and Sarasota new homes specialist, it's my job to keep you up to date on the latest activity. Here's an updated video for #GrandPalm in Venice. New phases are being opened, and a new entrance to the community from River Road is open. 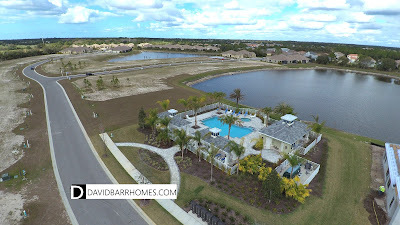 For more information on any of the 19 Venice area new home communities I serve, visit my website www.davidbarrhomes.com/venice-fl-new-homes-for-sale. I've added Babcock Ranch to the list of areas and towns I cover, because it's so unique. In case you missed it, Babcock Ranch is the country's first 100% solar powered town. This is an important distinction. Every single electric appliance or machine in Babock Ranch runs on solar power 100% of the time. Other communities, such as Lakewood Ranch, are now offering solar powered subdivisions, but they are not 100% solar powered. Babcock Ranch is offering a self-driving solar powered shuttle to it's list of future-friendly amenities. The shuttles can be used for trips to grocery stores, school, and restaurants. Read more about it here. Getting there: From I-75 take SR 78 (North Ft. Myers) east to Hwy 31 north. Go five miles and Babcock Ranch is on your right. 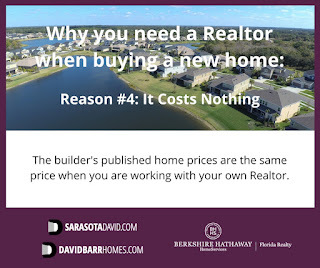 For more about Babcock Ranch, visit my website www.davidbarrhomes.com/babcock-ranch-fl-homes-for-sale. Save up to $15,000 on select home sites, and get half off options through October 15 at Islandwalk in Venice FL, and Hammock Preserve in Sarasota. Remember, a new construction home costs the same when you are working with a Realtor or if you go alone to the builder. See why you need a Realtor on your side when buying new construction, and contact me for a tour. Babcock Ranch will be a great place to call home. They have tons of free activities, and in case you missed it, Babcock Ranch is the nation's first 100% solar powered town. One upcoming example is their Pumpkin Patch. Visitors can choose their fall pumpkin from 9:30am to dusk starting Tuesday, October 10. Preserve at The West Villages update: Three model homes are nearing completion and the sales office will be open soon. Take a tour of the site, with plenty of water and preserve views. Here's a video update on #Watercrest new homes in #VeniceFL. My last video was posted in May and 4 months later, there is lots of construction progress. More inventory homes are under way, the community club house and pool are complete, and the first residents have moved in. Oasis is the latest new home coming soon to The West Villages in Venice FL. Large lots will accommodate homes with up to 4,000 square feet under air, with 3 car garages and expansive outdoor living spaces and pools. For more Oasis at The West Villages information and updates, bookmark my website www.davidbarrhomes.com/oasis-west-villages. Construction is progressing quickly at Rapalo in Venice. The first phase is complete, as is the brand new community pool. Take a look at construction in phase 2 in this aerial tour. Take a tour of Toscana Isles new clubhouse and resort style pool in Venice FL. Toscana Isles has 2 naturally fed lakes that are perfect for kayaking or fishing. I can't tell you how many times I've visited a new home sales center and seen buyers waiting to be helped by one of the two or three new home sales people, who are busy with other customers. When you have your own Realtor working with you, there's no waiting. I can show you any model home in any new home community, and I can show you resales as well. The new home sales people cannot show you resales. Welcome to #Milano, a fast growing new home community in #VeniceFL. Milano should be on your list if you are looking for new construction, with low HOA fees and no CDD fees. I've been busy updating videos for new home communities, the latest of which is Toscana Isles in #VeniceFL. If you want a new construction home with water views, Toscana Isles is sure to amaze. You can even have your own dock and kayak on the natural lakes. Island Court is a newer Mediterranean-styled town home community in #VeniceFL. The units feature luxury finishes and optional private elevators with secured 2 car garages. Residents enjoy local restaurants and activities just a couple blocks away. Prices start in the upper $400,000's. For Island Court real estate information visit my website www.davidbarrhomes.com/island-court-venice-fl. Lots of people are looking for #VeniceFL new homes. As the area's new home expert, I've gathered floor plans, local information such as HOA fees, and exclusive video you won't find anywhere else. 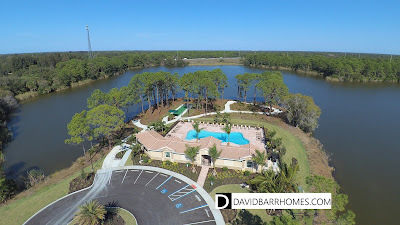 Visit davidbarrhomes.com/venice-fl-new-homes-for-sale, and contact me for a tour. New homes cost the same whether you're working with a Realtor or if you're looking on your own. Buying a new construction home in #Sarasota or #VeniceFL doesn't have to be stressful, when you have your own Realtor to help you. Here's one of 5 reasons you need to be working with your own Realtor: It costs nothing. When you see a builder's published price on their website or on my website, it's the same when you have a Realtor. Toscana Isles' gorgeous new clubhouse is open. I recently took a video tour to share with you. View the interior of the building, including the state of the art fitness center. I have more aerial photography and video of Venice FL new homes than any other Realtor in the area. Remember, having a Realtor represent you when buying new construction costs no more than going to the builder on your own. 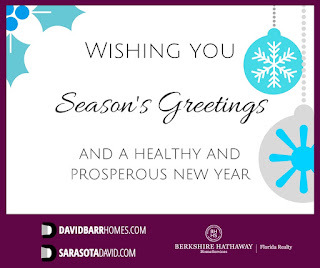 For more information on Toscana Isles, including floor plans and inventory homes for sale, visit my website www.davidbarrhomes.com/toscana-isles-venice-fl. 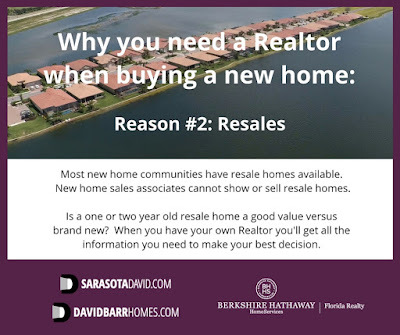 I've been compiling an extensive video library of high quality video of the Sarasota area for use on my real estate website, www.sarasotahomesforsale.us. Rapalo is a new home community in South Venice, FL that is now 70% sold. Take a look at the community pool and clubhouse under construction, and the new homes being built in the north phase in this exclusive aerial video. Windwood is a Venice FL new home subdivision that envisioned today's changing families right from it's concept. Low HOA fees and multi-generational floor plans are two of Windwood's biggest selling points. I've been getting a lot of information from new home builders in the Venice area concerning buyer incentives and even reduced prices, something unheard of just a year ago. As of right now there are 19 new home and condo communities in my Venice service area. Many of these have a higher number of move in ready and short move in, under construction homes, than I've seen in the past. Three new home communities in particular, Gran Paradiso, Toscana Isles, and Caribbean Village, have the largest number of quick move in and short move in homes available for sale. Contact me for more information and to schedule a tour. I have the exclusive first look at the site for the first phase of Renaissance at West Villages in Venice FL. This section being prepared for release is pre-selling now for an anticipated February 2017 opening. There will be approximately 200 paired villas and single family homes for sale, with a total of 700 when new construction is completed. For Renaissance at West Villages real estate information, including prices, floor plans, and community map, visit my website www.davidbarrhomes.com/renaissance-at-west-villages. Make sure to be a VIP new home buyer. Palms at Casey Key is a small new home community in Osprey. Homes will be a mix of one and 2 story homes. Take a look at the neighborhood site, which is just minutes to either Siesta Key or Nokomis public beaches. Visit my YouTube channel for more videos, or my Sarasota site at www.sarasotahomesforsale.us for profiles on over 80 neighborhoods. I'm always amazed at how new home communities can take shape so quickly. It wasn't long ago that I was surveying the Watercrest site with my drone for the first time. 4) Visit my website www.davidbarrhomes.com and bookmark your favorite new home community page. Here's your first look at the Bimini and Key Largo model homes in Watercrest. The models were about 90% complete when I filmed these tours. When they are furnished I will post the updated videos. 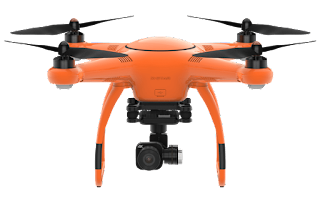 I purchased a drone just after Thanksgiving and have been using it to take unique aerial photography and video of the new home communities I serve as your buyer's agent in the Venice and Sarasota areas. New home buyers are finding the ability to see home sites in these videos very helpful. Here's an example for new sections of Milano that are being prepared for release.